You are here: Home / General / PRINCE2 2017 Edition – PRINCE3 or still PRINCE2 ? In January 2017 AXELOS announced the upcoming arrival of updated PRINCE2® guidance and new Foundation and Practitioner examinations, which will be launched in the middle of the year. Together, these form the PRINCE2 2017 edition and represent the first major revision of PRINCE2 since 2009. This important update reinforces PRINCE2’s unrivalled reputation for best practice in project management. As ever, the focus is on what makes a successful project. AXELOS is publishing a new edition of the PRINCE2 guidance, in addition to updating both the Foundation and Practitioner examinations. These will be launched in mid-2017. 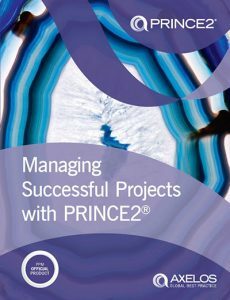 This new version of PRINCE2 affirms the method’s established approach to project management, with its overall structure of seven principles, themes and processes. Is this the Pre-Cursor to PRINCE3? No, this is not PRINCE3 nor a first step on the path towards it. PRINCE2 was the generic evolution of the original IT specific PRINCE project management approach. The PRINCE 2017 update remains a generic project management approach and therefore there is no need for a name change. This update is focused on enhancing the core product of PRINCE2 to ensure that it remains relevant and valuable to those who adopt the method.